Updated, 9/11/15 9/4/15. See below! 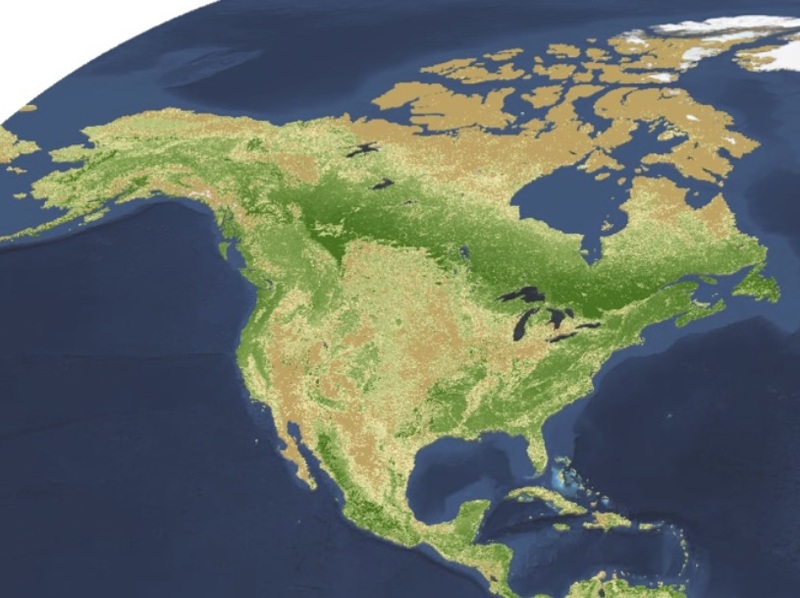 Throughout this blog, I’ve talked a lot about the American Nations – a concept, based on a book by Colin Woodard, that North America is divided into several ethno-cultural-political regional “nations”. 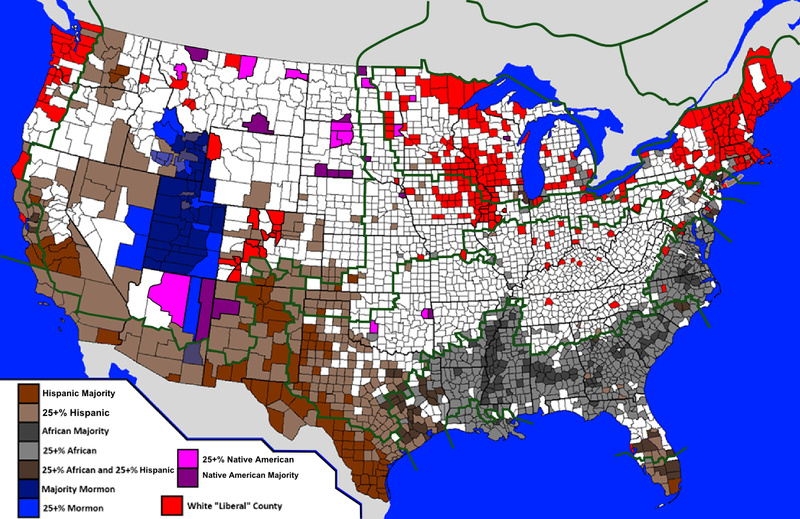 Primarily Black areas, secondarily Mexican. 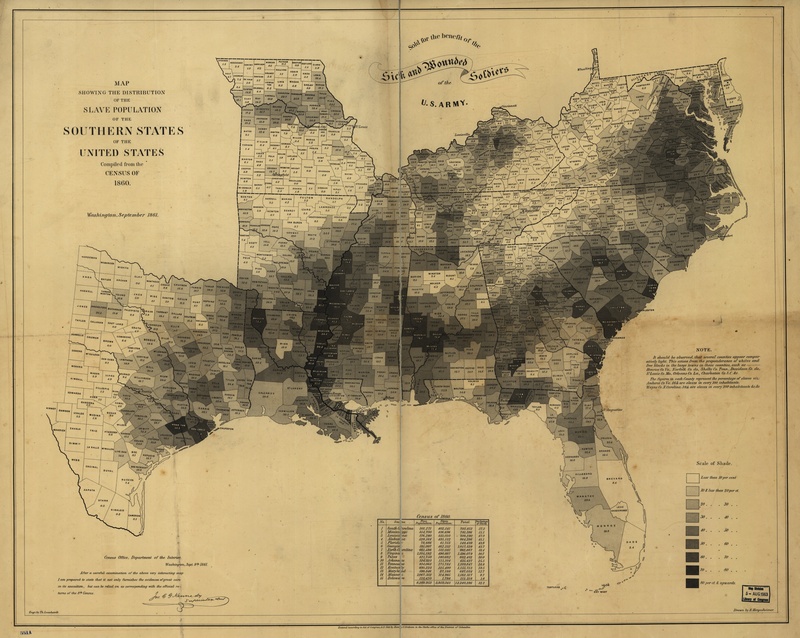 The Dixie bloc (Greater Appalachia, the Tidewater, and the Deep South) and perhaps Mormonia in the Far West stand out as exceptions. Midlands driven. 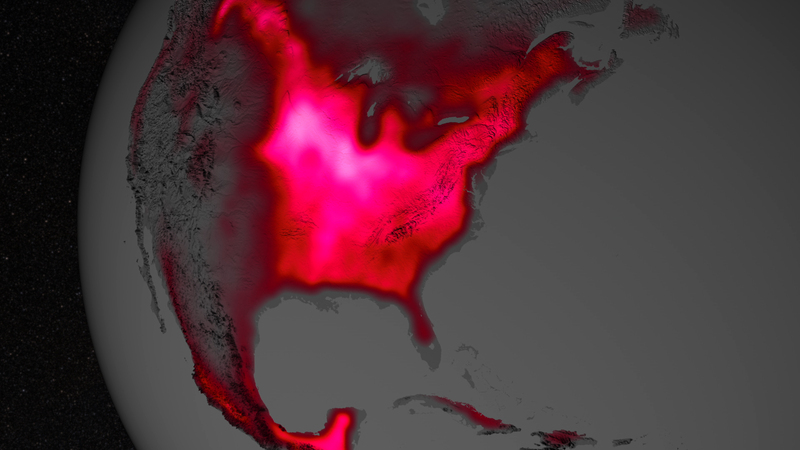 Perhaps something to do with the Dust Bowl migrations? Woodard gives an excellent review of the various nations and their histories. He details the course these various nations took towards become what they are today. However, Woodard falls short on the underlying mechanics behind this pattern. 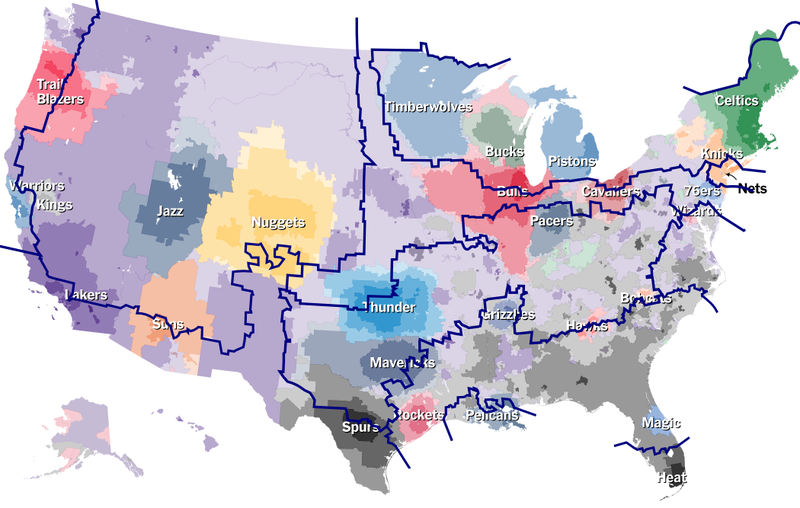 Readers here know this to be genetic differences between people living in each region, as detailed in my posts Demography is Destiny, American Nations Edition and More Maps of the American Nations. Behavioral genetic studies clearly establish that regional differences at a given instance stem from heritable differences between the people who inhabit them Edit: [see the aforementioned preceding posts, and see my posts All Human Behavioral Traits are Heritable, Environmental Hereditarianism, and The Son Becomes The Father; recapped in my 200th post, section Heredity and behavioral genetics **]. As such, the question then becomes how did these different strains of people end up where they are? This makes investigation fairly straightforward. Genetic differences between groups of people, once established, persist as long as the different groups do until diluted or erased by admixture (this is known as the Founder effect). As well, new differences can emerge within a single population as selective migration leads this initial population to fission into two or more daughter populations (see here and here – more on that to follow). In short, tiny genetic differences between two groups of people can lead to large differences in behavioral traits. 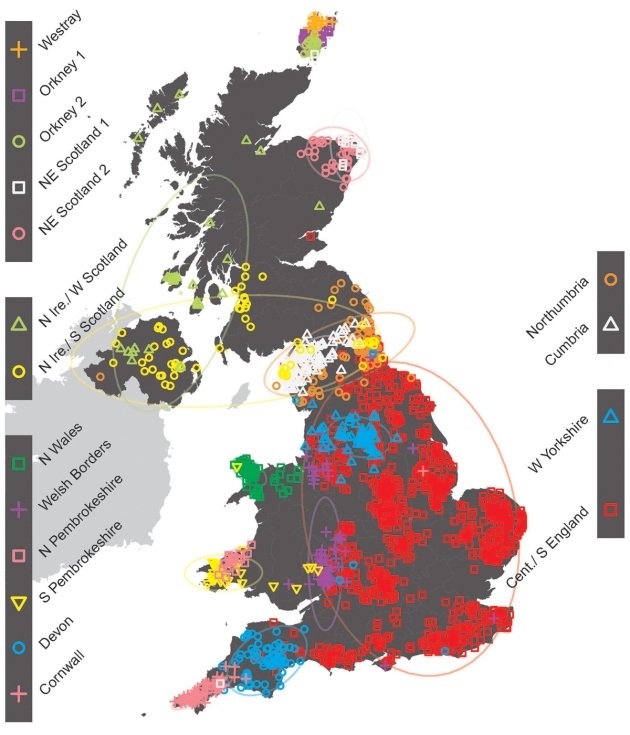 This extents to all facets of human behavior – a point driven home by a recent paper correlating linguistic diversity across Europe with genetic diversity there (Longobardi et al, 2015). But why do the American nations follow the pattern that they do? It turns out that this pattern was hardly a coincidence. Settlers moved to places where they could easily transplant their way of life. Areas of similar climate obviously aided in that aim. 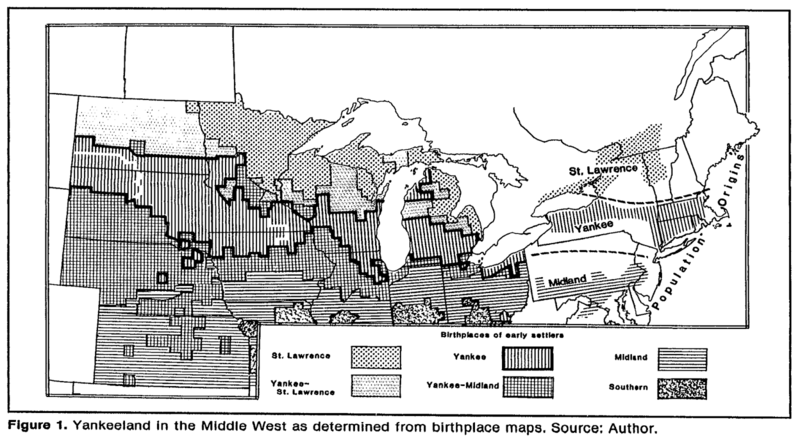 In the upper Midwest, Yankee and Midland settlers were joined by German and Scandinavian immigrants (as detailed in the preceding posts), who were also coming to areas climatically similar to their old homes. Indeed, the Midlands is America’s breadbasket (though the bulk of the crops grown here don’t feed people, but rather serve as animal feed/biofuels). 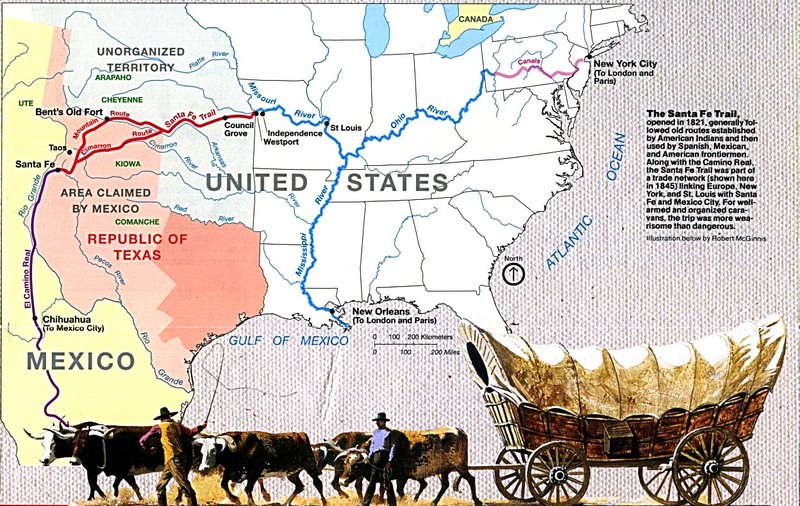 The southwestern extension of the Midlands followed (primarily German) settlers headed down the Santa Fe Trail. The Midlands looks pretty much like this from South Jersey to Nebraska, with abundant grassy fields throughout. 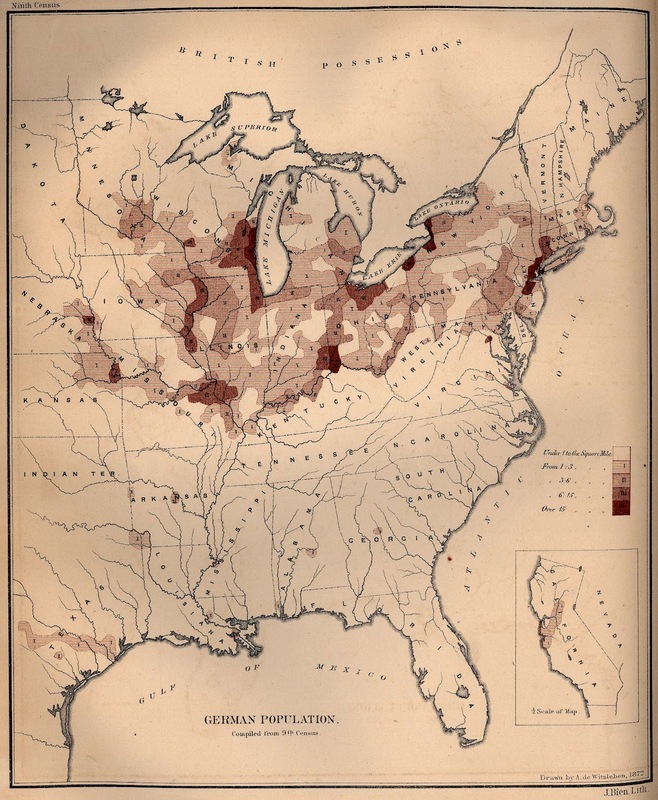 Similarly, Greater Appalachia expanded with Scots-Irish ranching country. 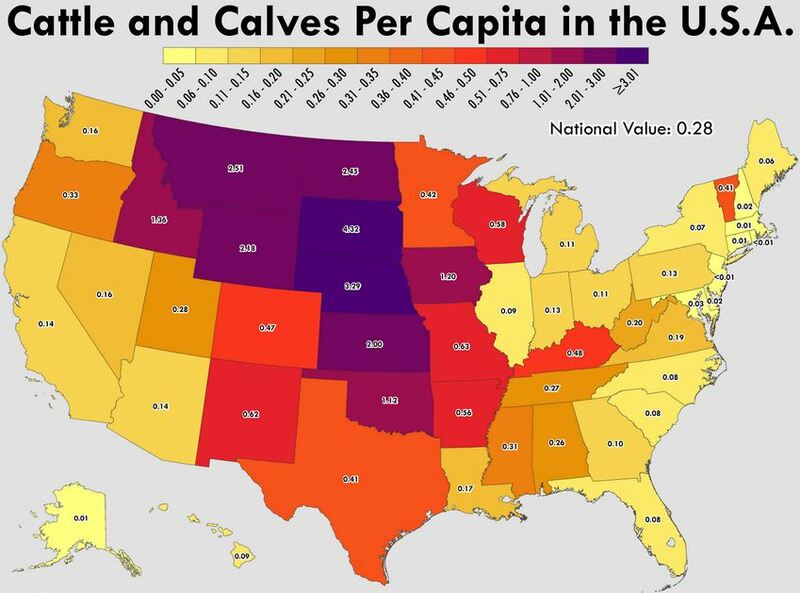 The distribution of cattle in America follows the area of Scots-Irish ancestry (and, secondarily, German ancestry). 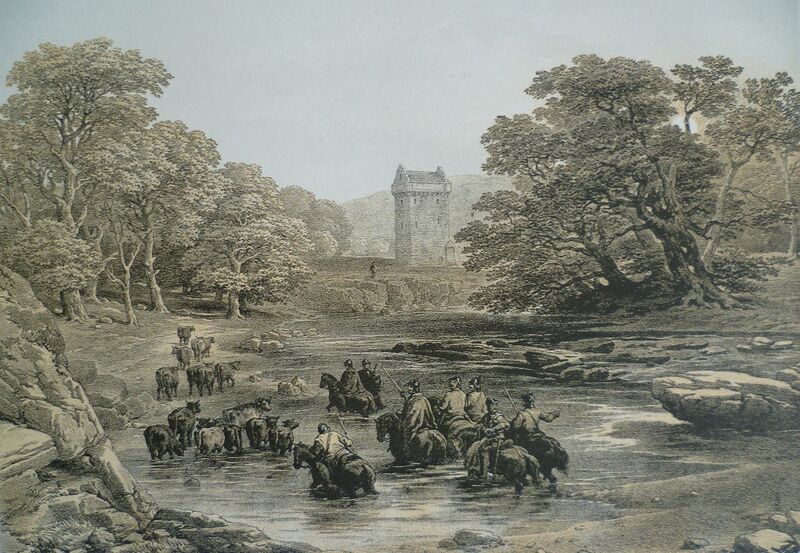 Like their Border Reiver ancestors, the Scots-Irish brought their cowboy culture wherever they went. 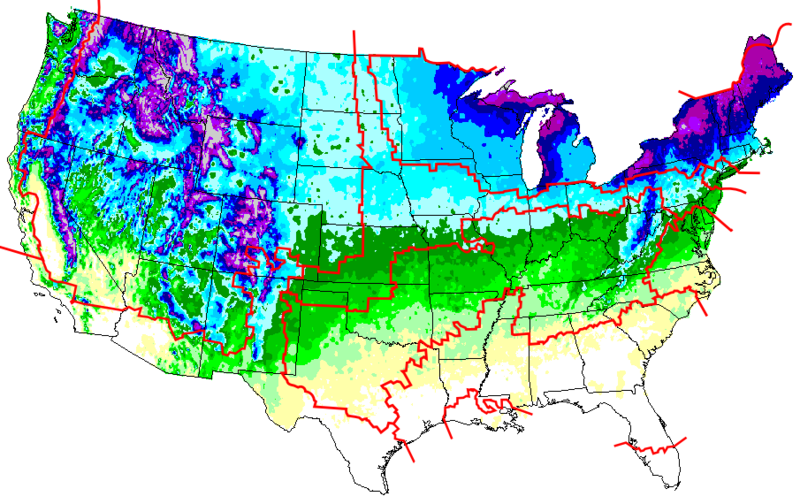 As for the West, climate clearly played a stark role in the settling of the Far West and the Left Coast. The division between the two nations is clearly visible on the climatic map, the temperate and amenable coast sharply delineated from the arid and highland climates not that far inland. Here, climate and geography served as the principle barriers. The Left Coast was settled long before the hostile and desolate Far West. The former served as a beacon for the more “civilized” (i.e., non-clannish, see here) settlers from the east. It was only when railroads and other technologies came did the Wild West give way to settlement, becoming the Far West we know today. As previously discussed, both settlements involved distinct sorting events, giving each a unique character that are not as purely governed by ethnic origin as are the nations back east. 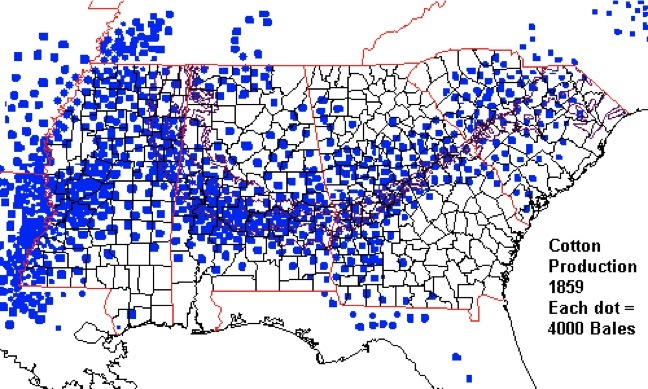 The western states were all extensively settled by migrants from the Midlands, and today that is reflected by (among other things) the similarities between the Western accent and the Midlands accent. 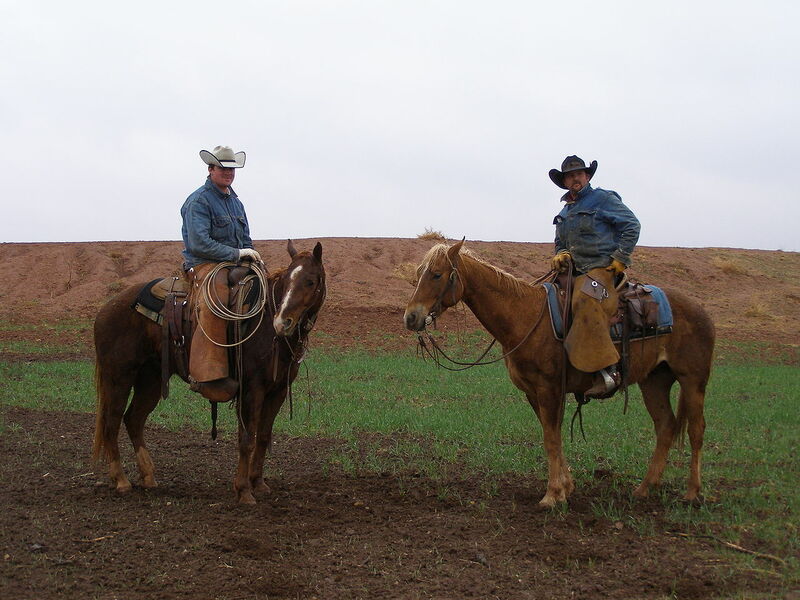 The areas of the western Midlands in the Great Plains also served as a secondary source for Western settlers. The wrath of the Dust Bowl sent people pouring from this region – many heading West. Today, the upper central part of the country (the “Friendly & Conventional” zone, according to Rentfrow et al (2013) is in many ways a mirror image of the west (the “Relaxed & Creative” zone – see also Rentfrow, Gosling, and Potter, 2008). 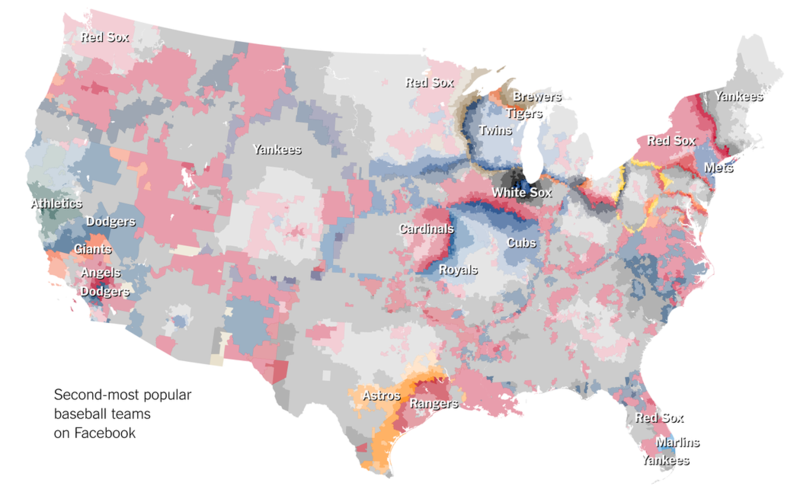 The depletion of more liberal-minded individuals has left the Plains a zone of solid “red” politically (even among the less clannish Germans and Scandinavians who inhabit its northern reaches – see also Boiling Off | West Hunter). To the north and to the south of the United States, in Canada and in Mexico, respectively, we see that climate also served as a barrier. In Canada (as well as Alaska), the matter is straightforward: the harsh wintry climate (as well as the poor quality land which is largely unsuitable for cultivation) limited the extent of White settlers. 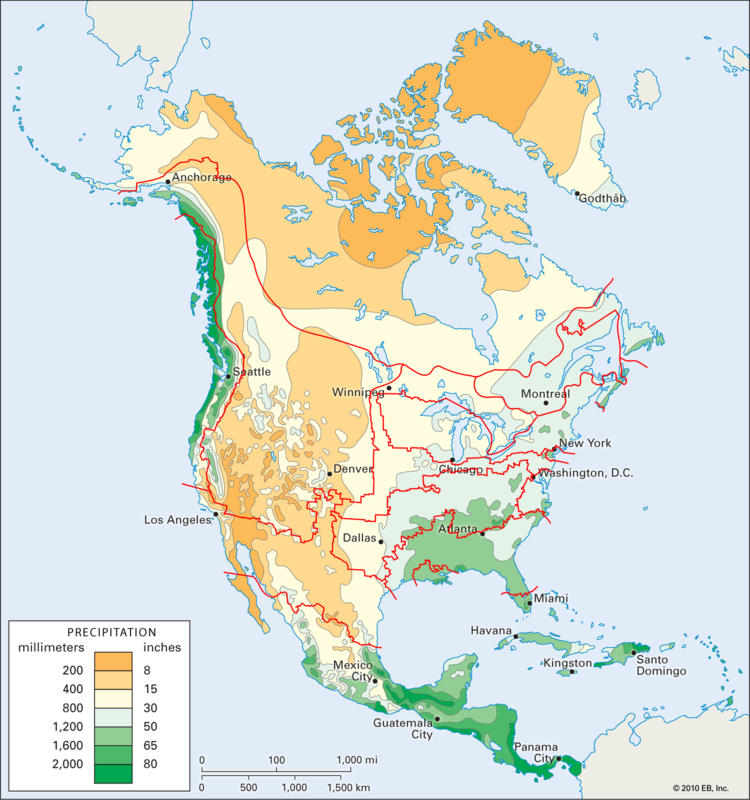 Native Americans (“First Nations” peoples) maintain majorities in the marginal northerly lands that were less desirable to the European colonists. In Mexico, the southern limit of “El Norte” is the region where the Mexican desert gives way to wetter, more tropical climes. The northern limit follows the original Spanish settlements along the Rio Grande. 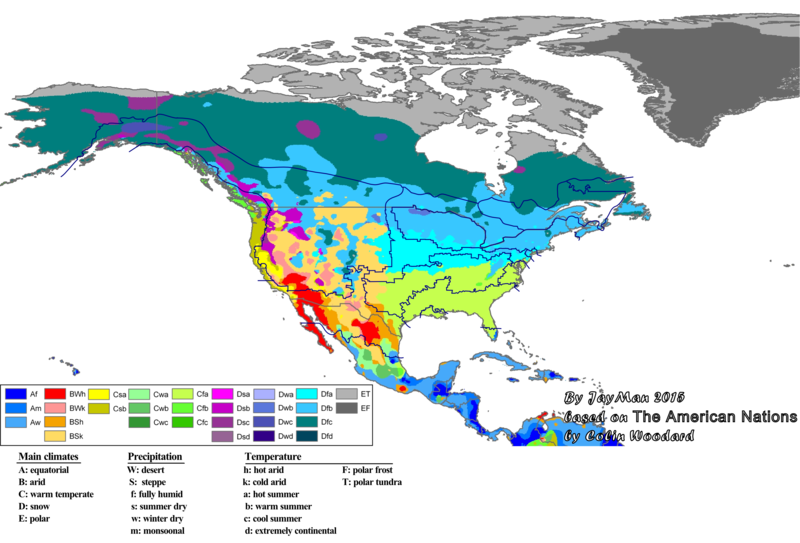 Mexicans long maintained a majority in along the U.S.-Mexico border for much the same reason as the First Nations peoples in Canada have: the area was unappealing to Whites (being hotter and drier), and generally remains so today. 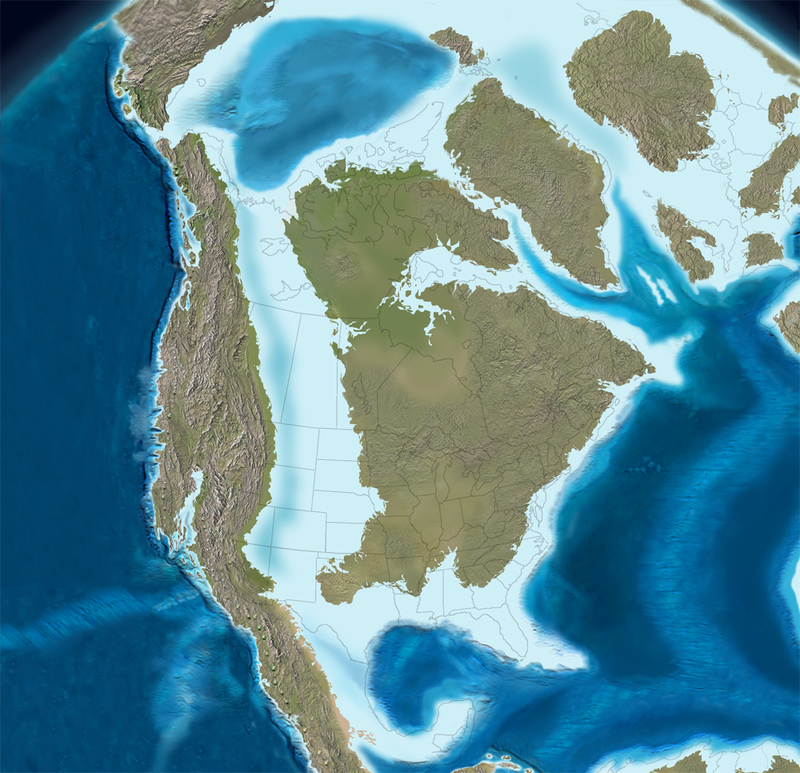 Jared Diamond was correct in that geography heavily shapes history. Only he didn’t go far enough. He failed to consider genes. 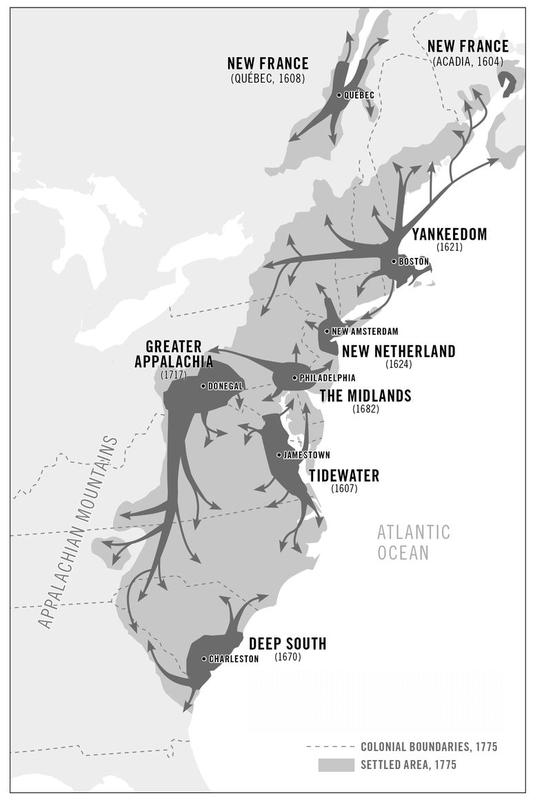 Here we see genes enact their power through the patterns of migration and settlement. Throughout this series, I believe I have made an earnest but nonetheless solid case for the American nations and their ultimately genetic roots. 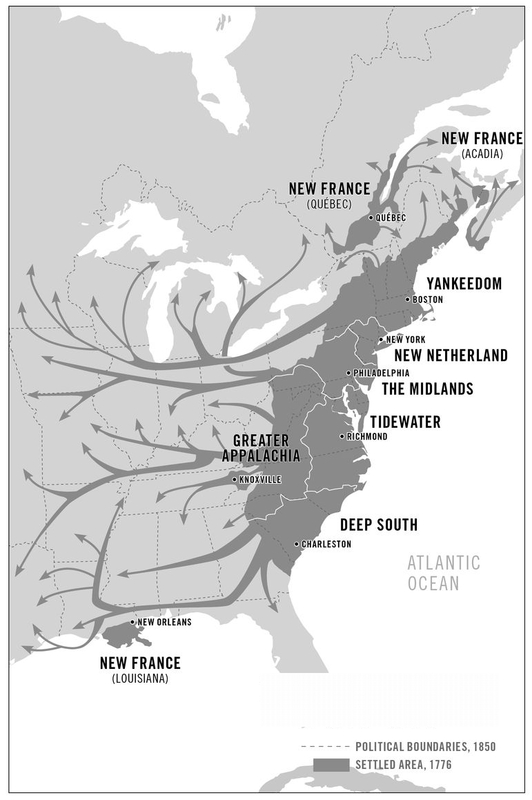 These genetic roots include not only the progeny of the colonial settlers, but the large subsequent immigrant populations that have settled and transformed much of the continent (more so in the nations of the North). One day, inherited differences will become an accepted cornerstone of human science, much as evolution is for biology generally. In the mean time, tireless bloggers/researchers and others will continue to look into this matter – waiting for the day mainstream science gets over its infatuation with what is effectively creationism. Lovely. 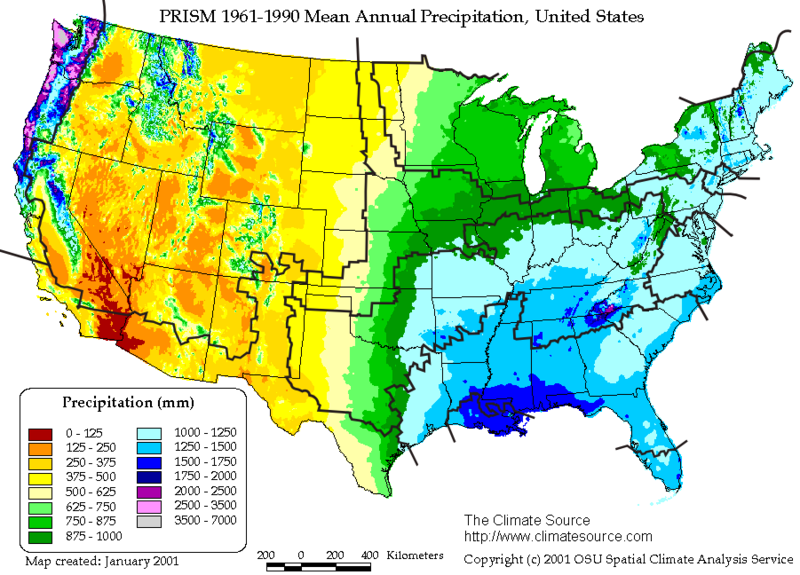 I’ve always been fascinated by how the American Nations seem to roughly outline various climatic and geographic zones (especially the division between the Midlands and the far West, which almost perfectly reflects the 100th Meridian, where the Breadbasket begins to transition into a semiarid landscape). 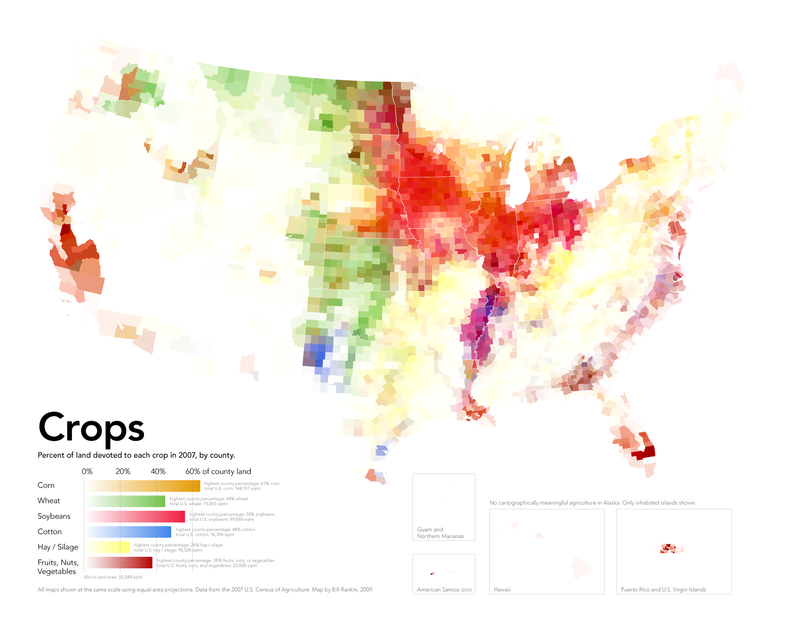 Nice maps, although in some the correlation looks much looser than others. It would be great someday to see someone write a whole book that explains the connection between human demographic expansions and geography/climate better than Jared Diamond’s “Guns, Germs, and Steel” (and maybe remember genes…). I guess we have to do with this until then! 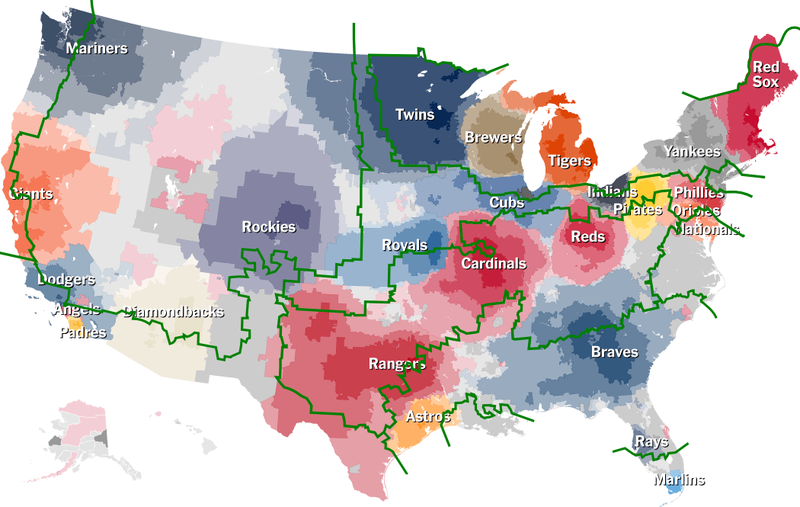 Not to nitpick the American nations map, and I’m sure there’s plenty of ambiguity along the borders, but as a native of the state, I’d say the Florida division isn’t quite correct. Counties as far north as Sarasota and St. Lucie are classified as part of the Spanish Caribbean, despite having well less than 10% hispanic or Spanish-speaking populations. On the flip side Tampa and Orlando are classified as Deep South, despite having very little cultural or linguistic commonalities with Georgia or Alabama. To be exactly accurate (though probably too busy to divide on a map of the entire country), I’d say anything North of Orlando is Deep South. Most of Central Florida, particularly along the West Coast is a Midlands exclave (high German ancestry). Given the high Puerto Rican population Orlando should be part of the Spanish Caribbean. Core Tampa is pretty Cuban, but the metro area is relatively white and German, so it probably fits better in the Midlands exclave.